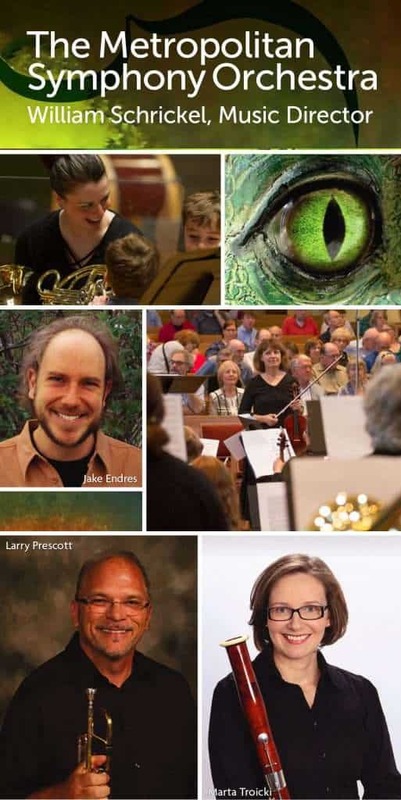 Dinosaurs rule in this one-hour Family-Friendly concert of the MSO and William Schrickel. John Williams’ music from the first Jurassic Park film sets the stage for Jake Endres’ narration of The Jogger and the Dinosaur, a charming tale by American composer Morton Gould. Leonard Bernstein’s fizzy Candide Overture opens the concert, and MSO musicians Larry Prescott and Marta Troicki show off their expertise on the piccolo trumpet and the bassoon. Concert is free; donations are requested.